To make approximately 9 pav. Take water and milk in a bowl. Heat this mixture in a microwave just for 40-45 seconds till it becomes little warm. Add in yeast and sugar. Mix well and cover it up with kitchen towel. Let it rest for 10-15 minutes. If it turns frothy, then yeast is activated. Sieve the flour and add salt to taste. 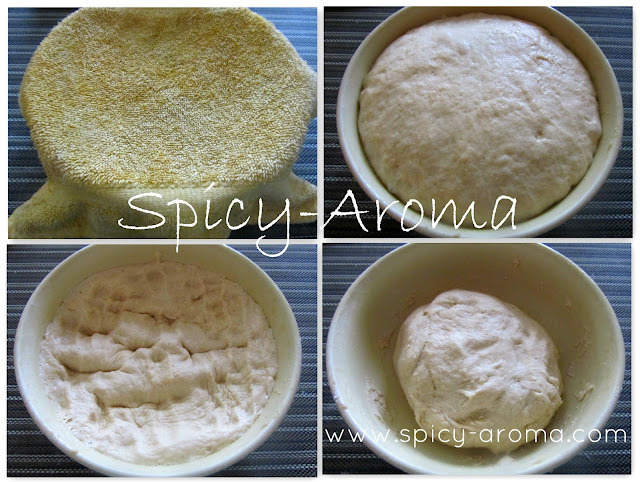 Start kneading the dough by adding little yeast water at a time. Dough should be very soft and sticky. 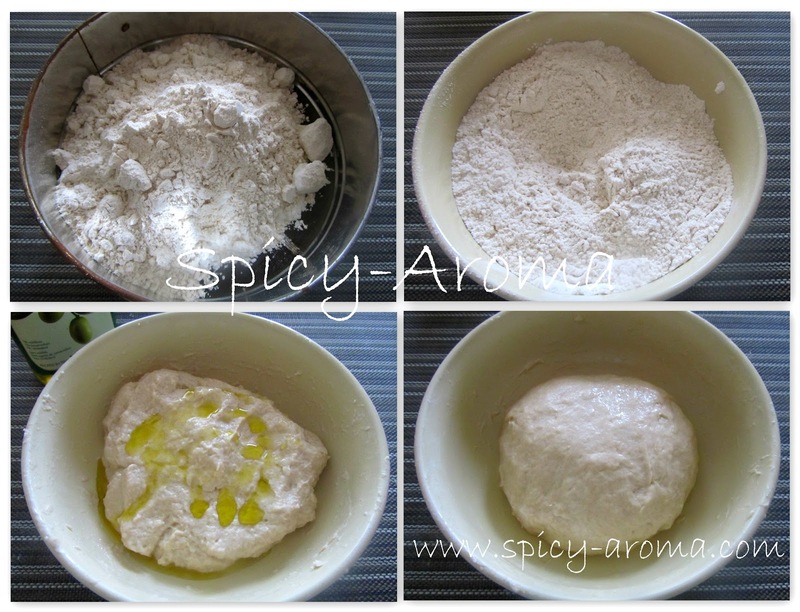 Add olive oil to it and again knead the dough really well. Whole process of kneading will take around 20-25 minutes. Once you are finished with kneading, apply some oil on top and transfer this dough to big pot. Cover it up with wet kitchen towel and let it rest in warm place for about 1 and half hour. Dough will become triple in size. Just punch the dough little bit to remove air in it. Make the small balls and keep them in a greased baking pan. Cover it with kitchen towel and let them raise for half hour. 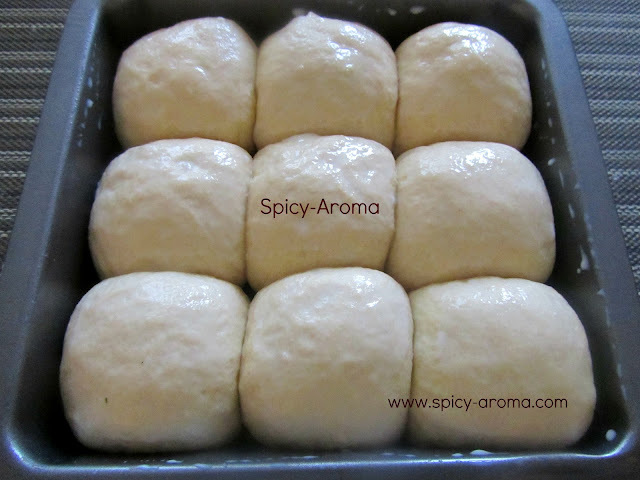 Meanwhile, preheat the oven to 350 degrees F.
Brush the raised buns lightly with milk. Bake them in a oven for about 30-35 minutes. Let them cool down before you serve them. Looks so soft and an easy one too! will definitely try! looks so fluffy n soft pav...perfectly done!! Love the colour, the perfect golden bake they have got on top.. Lovely step by step pictures..
My lord you baked the bun too. Very impressed at the way it looks. 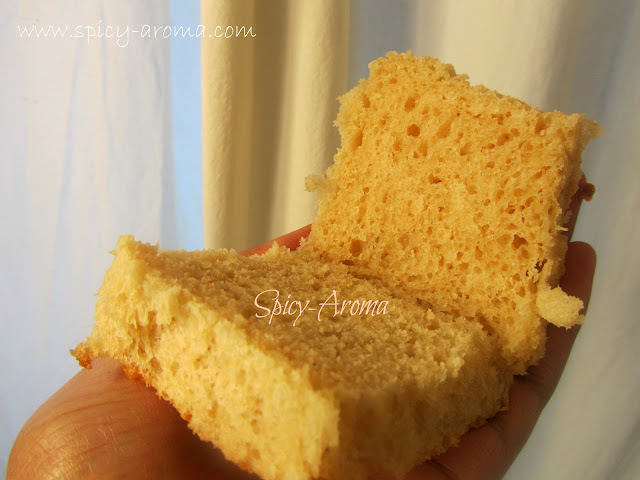 very soft and perfect pav.. 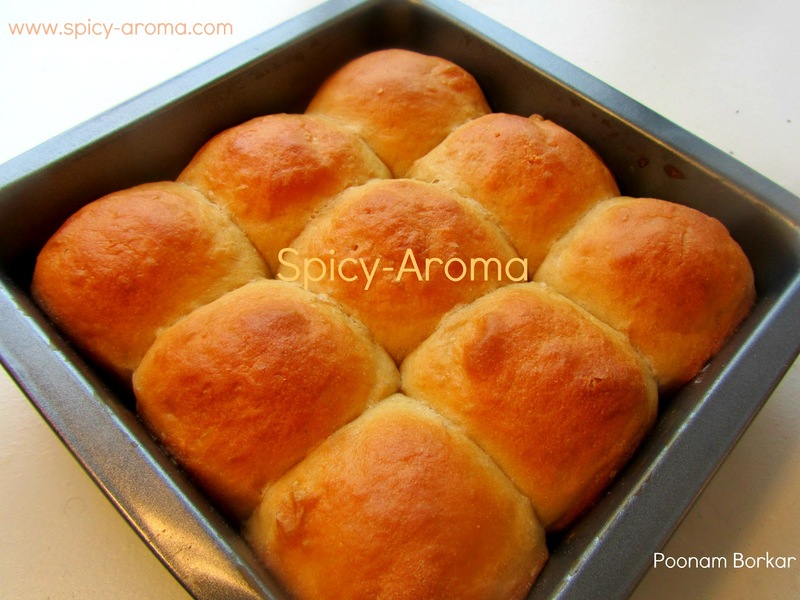 Your pav looks soft and its healthy too.... what kind of yeast have you used.... is it active dry yeast or any other yeast?